Why is it, do you think, that American politicians are quick to give their opinions, often unwanted, about events in other countries but are less happy, even offended, when the situation is reversed? During his ‘goodbye’ official visit to Britain, last month, President Barack Obama said he wanted the UK to remain in the European Union. He said Britain was at its best when “helping to lead” a strong EU and membership made it a “bigger player” on the world stage. 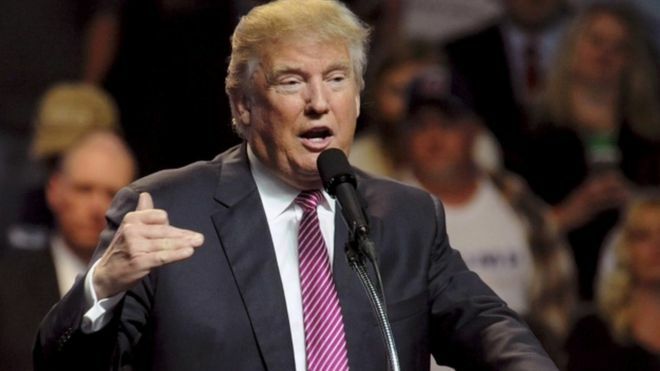 Now, the man almost certain to be the Republican candidate in this November’s presidential election, business mogul Donald Trump has said he thinks the UK would be “better off without” the European Union. To be fair, though, ‘The Donald’ did say that it was just his opinion and not a recommendation about which way to vote in Britain’s referendum on June 23. “I know Great Britain very well, I know the country very well, I have a lot of investments there. I want them to make their own decision,” he said. President Obama had urged the UK to remain in the EU and said Britain would go to the “back of the queue” for trade deals with the US if it votes to leave. His intervention in UK domestic politics sparked an angry reaction among Leave campaigners.